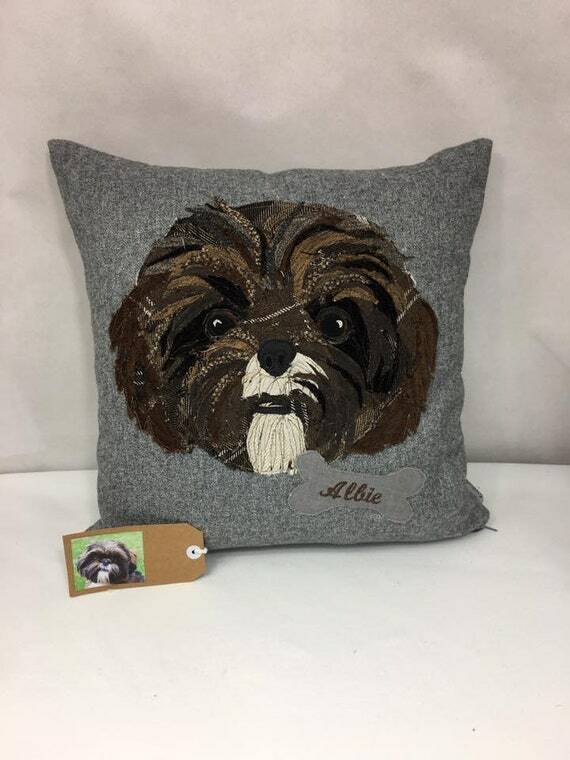 Handcrafted appliqué/patchwork Pet Portraits inspired by customers pets & pet related home decor and accessories. 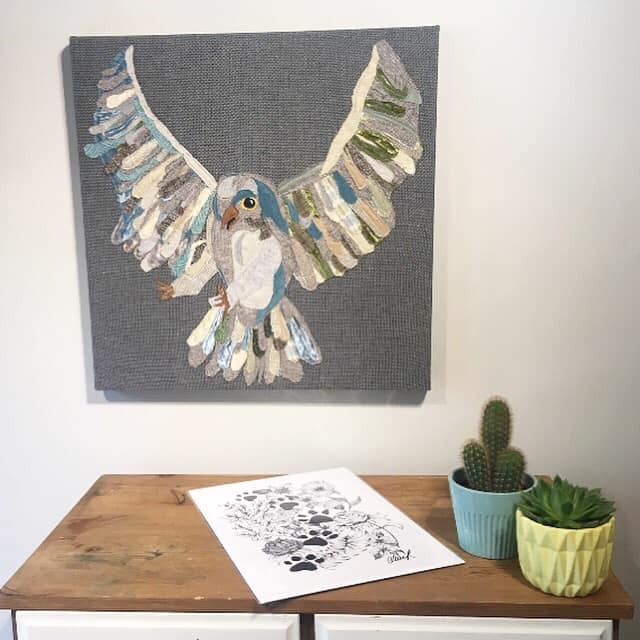 artwork and custom portraits using recycled fabric. 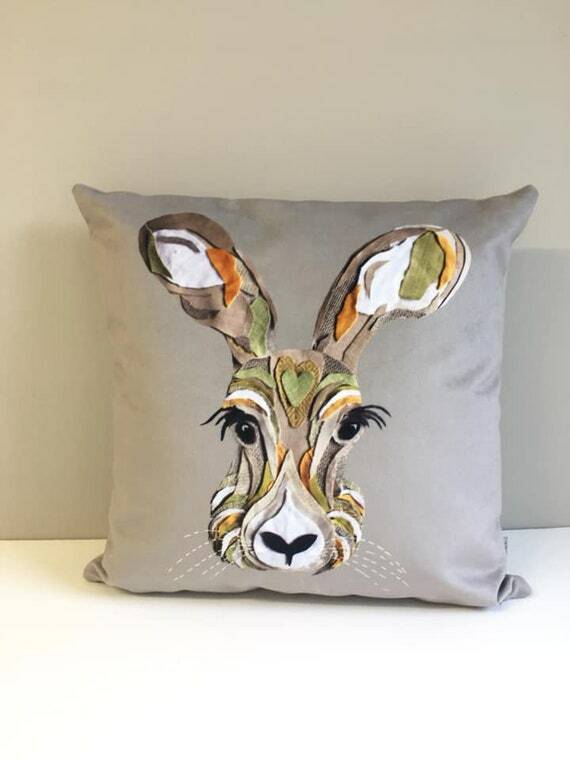 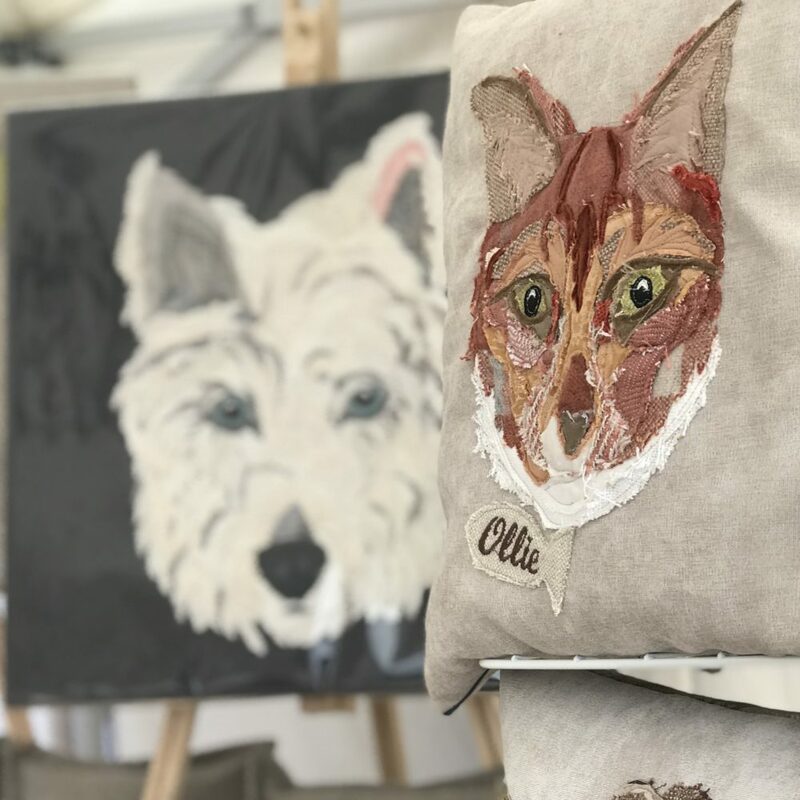 Cushy Paws is the creative output of textiles artist and designer, Grace Ellena. 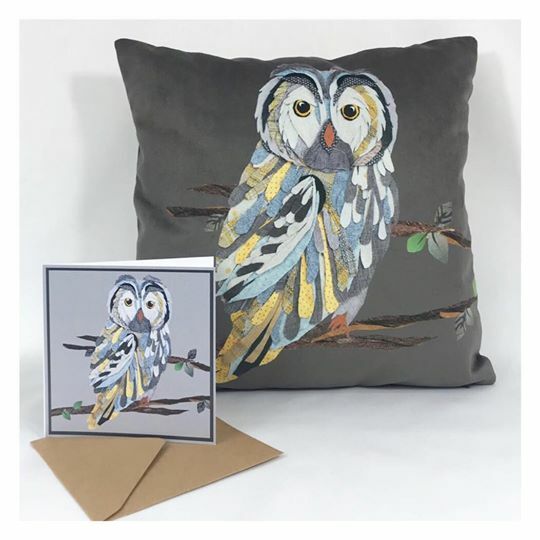 fabric differing in tones and shades, allowing the artwork to evolve. 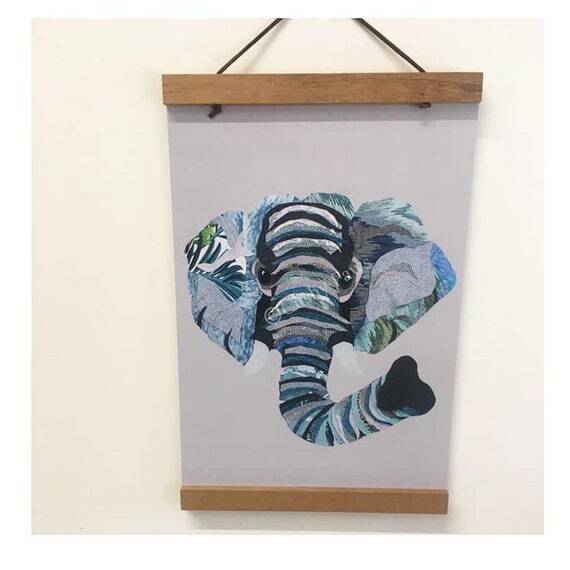 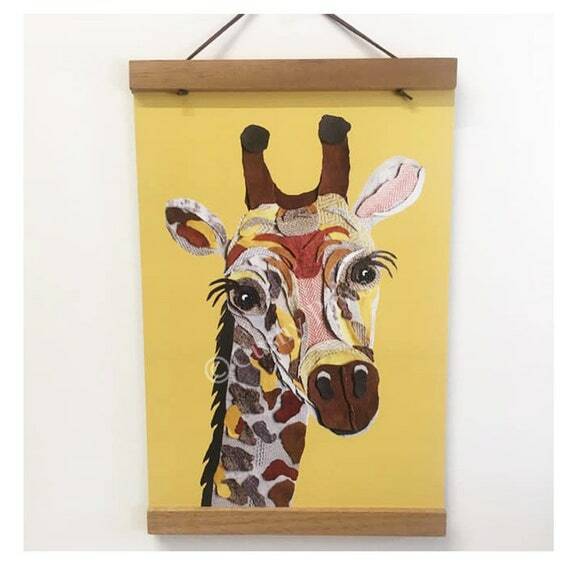 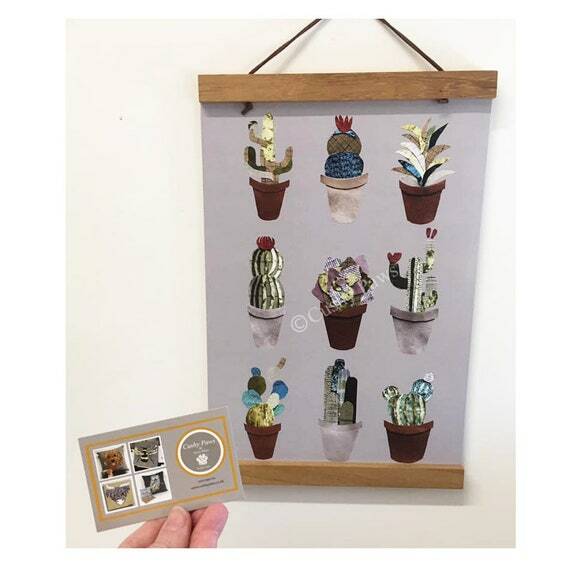 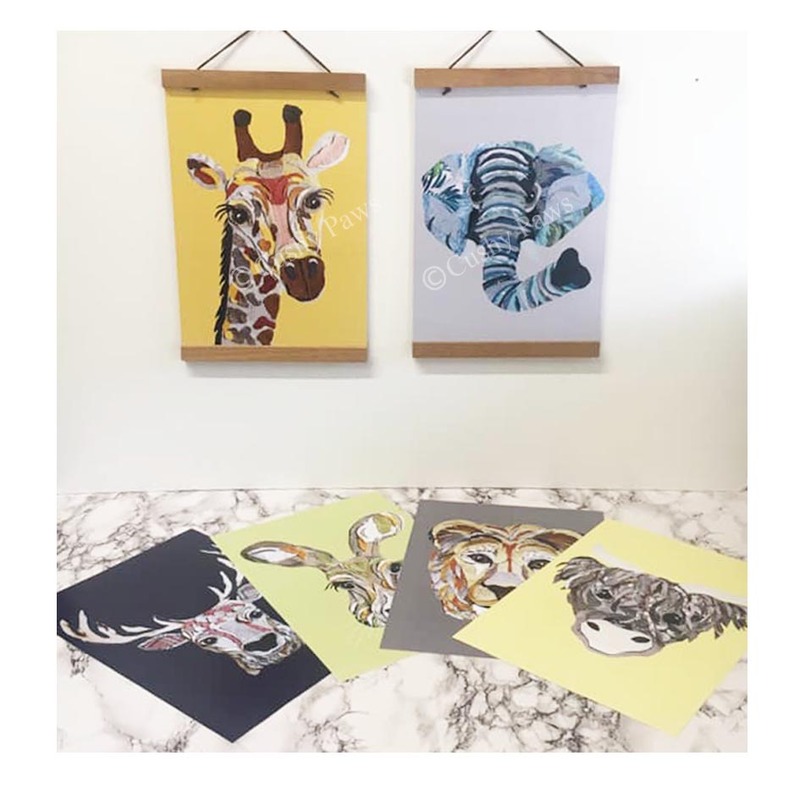 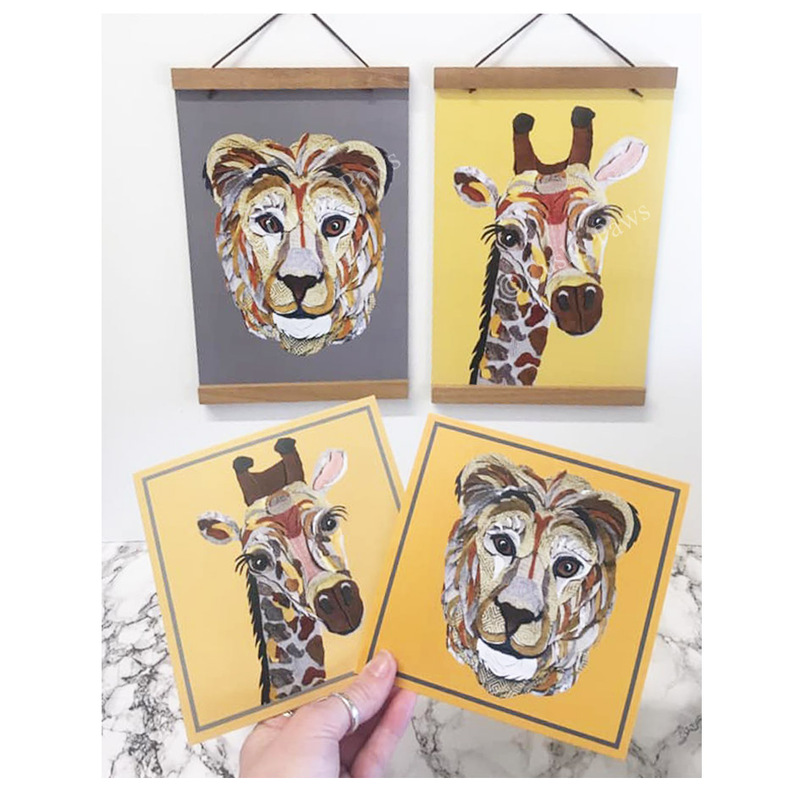 Cushy Paws has a range of original artwork pieces and printed products. 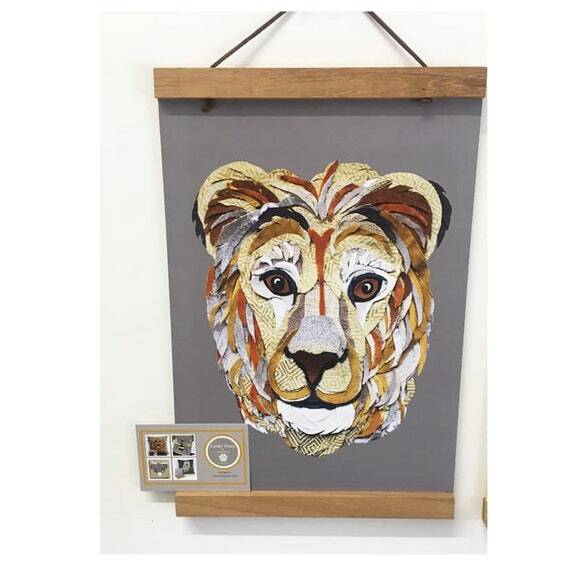 The portraits are MADE TO ORDER, and are created using a variety of printed and woven recycled fabric swatches, they are cut out individually to build the dimensions of each portrait. 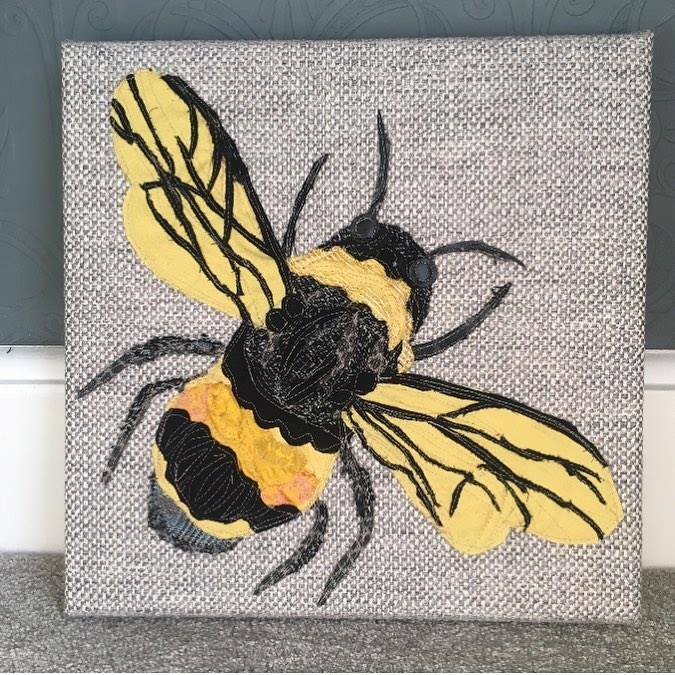 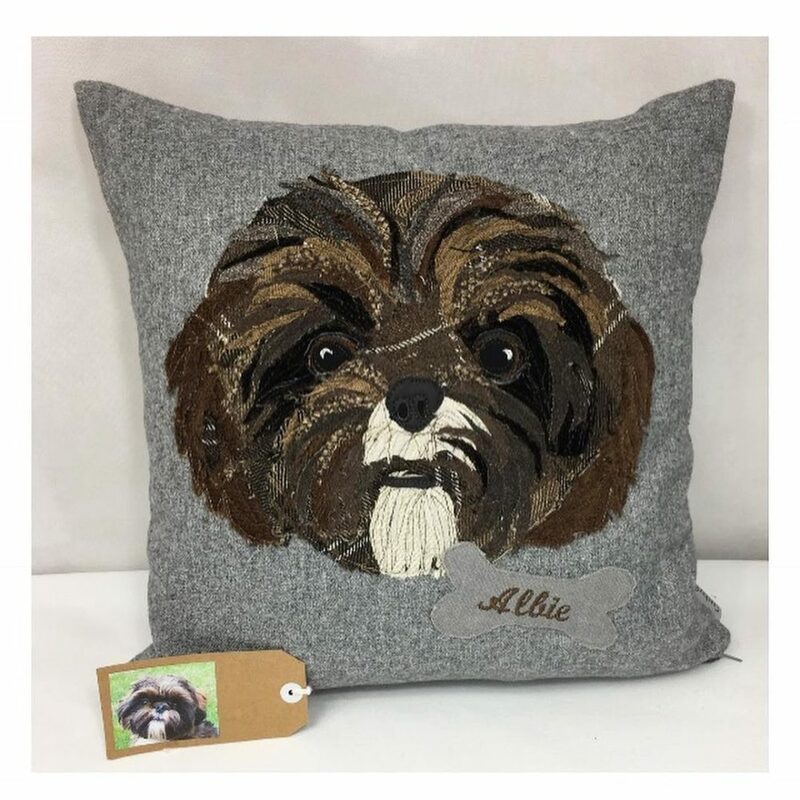 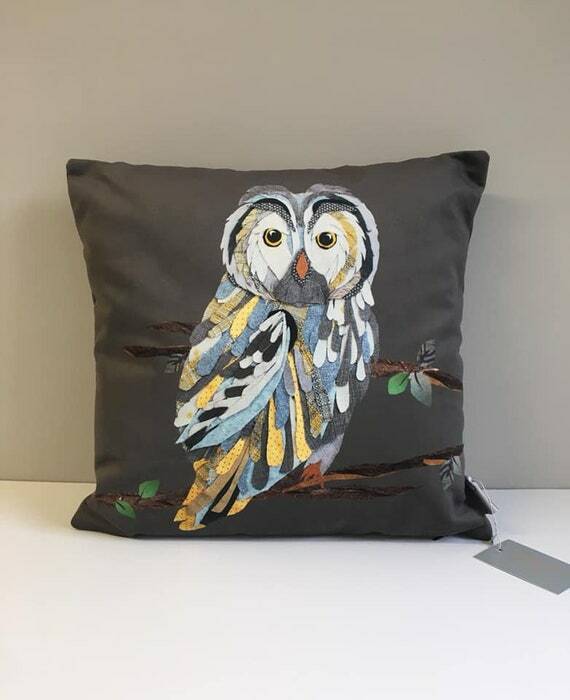 Each portrait that is created is a unique patchwork appliqué that has been handcrafted to create a finished article, this is then presented on a canvas or a cushion. 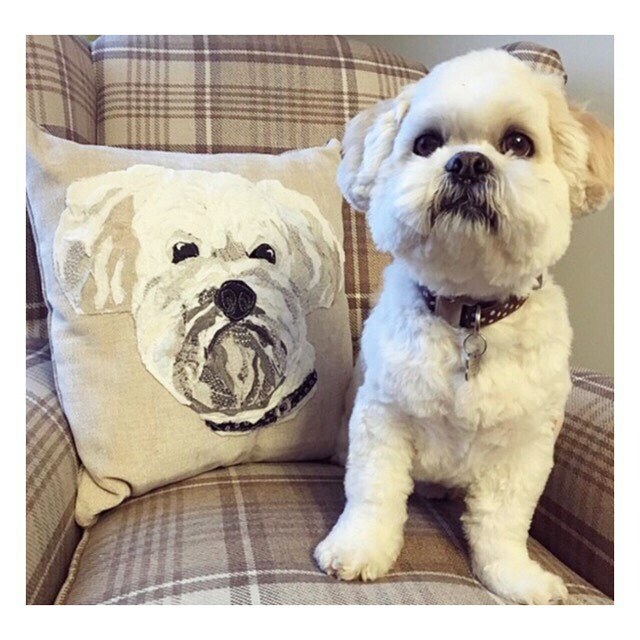 If you are interested in a commissioned portrait created of your pets, please visit their social media pages and website to check out her latest work. 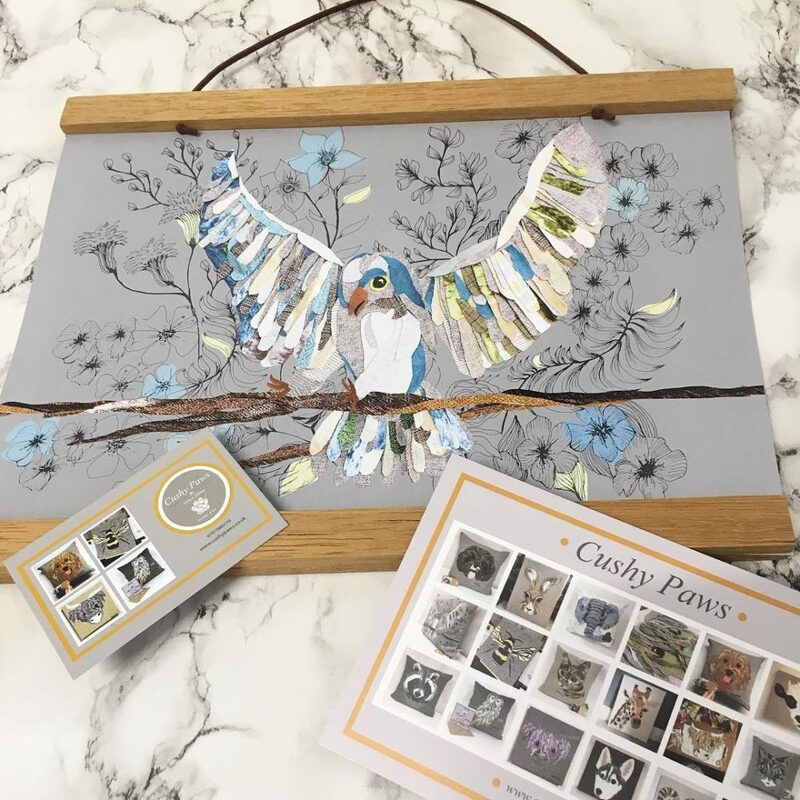 For a glimpse of the intricate detail that is applied to her unique work why not visit one of Cushy Paws events. 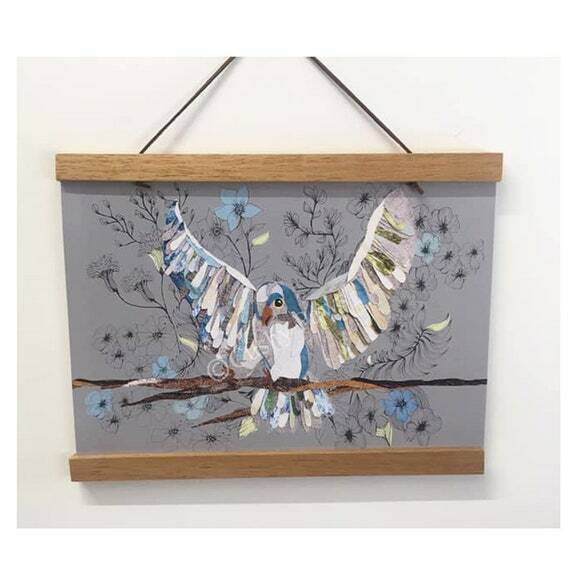 (Upcoming events are displayed below).